NDT is the testing of materials to detect internal and surface defects or discontinuities using methods which do not damage or destroy the material under test. NDT Technician Duties and Responsibilities? The NDT Technician will be responsible for preparing inspection tools and supporting equipment for transportation to the job site. This person will be assisting customers and field personnel in the preparation, set up, mechanical refurbishment, cleaning, and maintaining paperwork connected with each project. What is the work of NDT technician? NDT methods are used in quality control procedures in aerospace, energy, manufacturing and transport. You'll test materials used in machinery and structures to find faults like corrosion, cracks, flaws and other imperfections. What are non destructive testing methods? 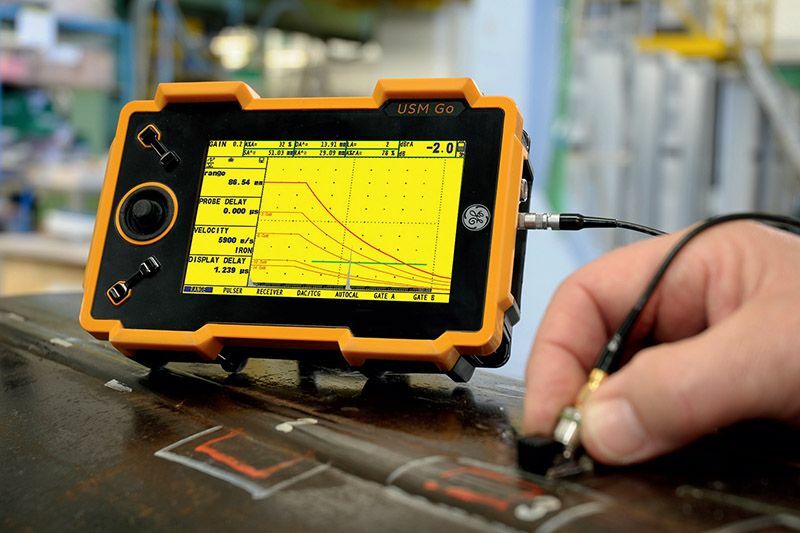 What is ultrasonic testing in NDT? 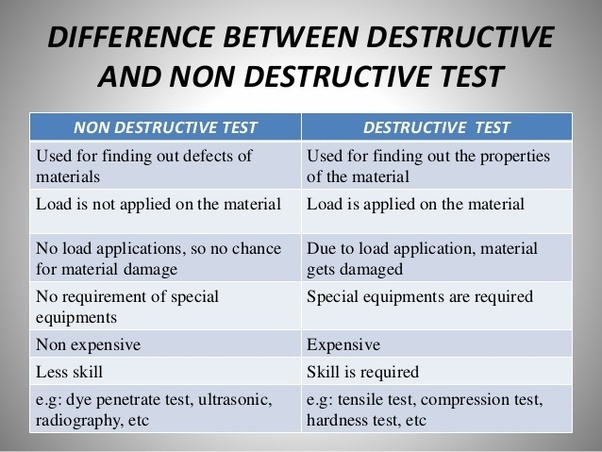 What is destructive testing and what are its benefits? Destructive testing are the tests which are carried out to the specimens failure. Benefits: Verifies properties of a material. Helps you to reduce failures, accidents and costs. 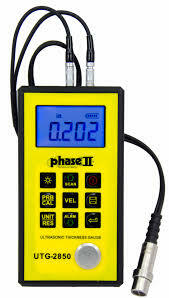 What is ultrasonic thickness gauge? What is visual weld inspection? Visual Inspection of Welded Connections. ... Non- destructive testing (NDT), which is typically used for the inspection of completed welds, is usually designed and conducted to find welding problems after the fact, when the weld is completed. Difference between DT & NDT? What is the different between Defects or discontinuities? Defect: A discontinuity whose size, shape, orientation, location or properties makes it detrimental to the useful service of the product in which it occurs or exceeds the accept/reject criteria for the given design. Defect is a type of discontinuity. 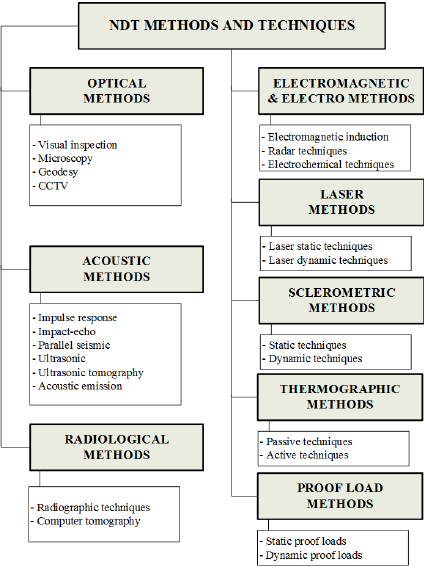 What are the major 5 NDT methods? 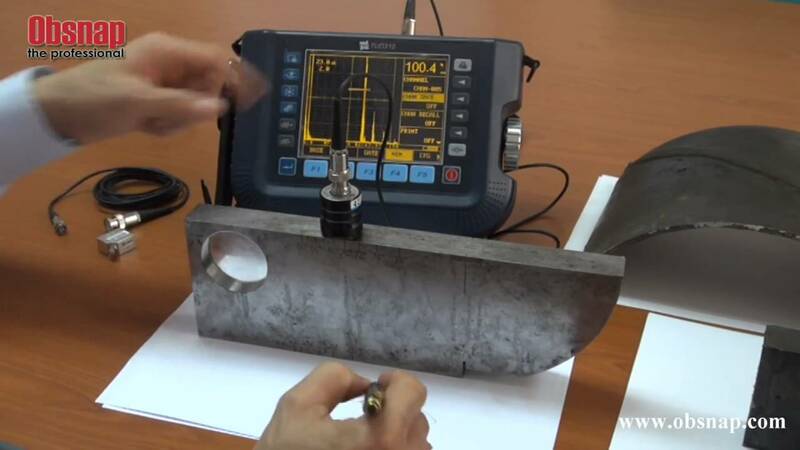 For detection of surfaceweld defects or discontinuities what are the NDT methods commonly used? For detection of internal weld defects or discontinuities, material what are the NDT methods commonly used? 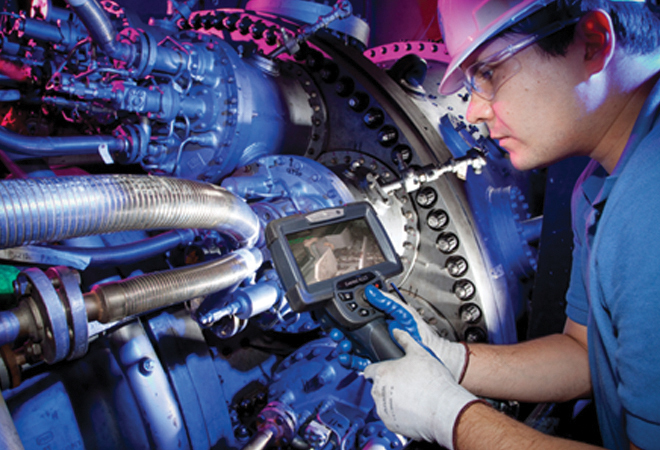 What field experience do you have being an NDT Technician? If you are being asked this question from your employer then you can explain your experience. Tell the employer what responsibilities you were performing during your job. You can tell which programs you developed and what modules you worked on. What were your achievements regarding different programs? What have you done to advance your knowledge as an NDT Technician in the last year? Employers look for applicants who are goal-oriented. Show a desire for continuous learning by listing hobbies non-work related. This is a common question during an interview, possibly the most asked. It is used as an ice breaker, gets you talking about something comfortable, but you need to have something prepared for a response. However, you don’t want it to sound memorized. The fact is, the interviewer isn’t interested in your life story. Unless asked otherwise, focus on education, your career and present situations. You should work chronologically, starting as far back as possible and working until present. Why are you leaving last job? Although this would seem like a simple question, it can easily become tricky. You shouldn’t mention salary being a factor at this point. If you’re currently employed, your response can focus on developing and expanding your career and even yourself. If you’re current employer is downsizing, remain positive and brief. If your employer fired you, prepare a solid reason. Under no circumstance should you discuss any drama or negativity, always remain positive. This question allows you to brag on yourself, but keep in mind that the interviewer wants strengths relative to the position. For example, being a problem solver, a motivator, and being able to perform under pressure, positive attitude and loyal. You will also need examples that back your answers up for illustration of the skill. This can be a tricky question to respond to, if you suggest you have no weaknesses you’re going to appear as a lair or egotistical. You should respond realistically by mentioning small work related weaknesses. Although many try to answer using a positive skill in disguise as a weakness, like “I expect co-workers to have the same commitment” or “I am a perfectionist”. However, it is recommended that there is some honesty and the weaknesses are true, and then emphasize on how you have overcome it or working to improve it. The purpose of this question is to see how you view and evaluate yourself. This question is like a loaded gun, tricky and dangerous if you’re not sure what you are doing. It’s not uncommon for people to end up talking salary before really selling their skills, but knowledge is power as this is a negotiation after all. Again, this is an area where doing your research will be helpful as you will have an understanding of average salary.